Election Tracker LIVE: The grand alliance of opposition parties in Bihar announced candidates for all the 40 seats in the state today, with the Rashtriya Janata Dal contesting from 20 seats in the state and Congress agreeing to fight on only nine. The Congress has had to scale down its demands considerably in the state, as it had initially demanded 15 seats in the state, then agreed to 11 and has finally decided on nine. The alliance also has the Upendra Khushwaha’s RLD contesting on five seats, VIP party contesting on three seats and Hindustani Awami Morcha also getting three seats. The seat-sharing deal agreed by the alliance partners would also see the RJD give one seat from its own kitty to the CPI(M). The BJP has finalised the candidates for the two seats in Goa. Narendra Sawikar has been fielded from South Goa, while Sripad Naik has been fielded from North Goa. The Lok Sabha polls here will be held on April 23 in single phase. Speculation was rife on Friday that Congress leader Jitin Prasada may join the BJP but the Congress rejected such reports, while the former union minister termed them as "hypothetical". Sources said some senior Congress leaders including Jyotiraditya Scindia met Prasada on Friday afternoon in a bid to placate him and Prasada relented after senior party leader Ahmed Patel spoke to him later in the evening. Prasada, who has been been fielded by the party from Dhaurahra Lok Sabha seat in Uttar Pradesh, is reportedly unhappy at not being given a senior responsibility within the party, whereas his peers have been made PCC chiefs or in-charges in many states. His name was earlier doing the rounds for the post of PCC chief in Uttar Pradesh. Prasada is the son of Congress veteran Jitendra Prasada who had unsuccessfully contested against Sonia Gandhi for the post of Congress president in 2000. The BJP is likely to field wrestler Yogeshwar Dutt in the Lok Sabha election from a constituency in Haryana, party sources said Friday. His name was recommended by the BJP's state unit to the party's central election committee which met here, they said. Dutt, who won the bronze medal in the 2012 Olympic Games, is likely to be fielded from either Sonepat or Rohtak, the sources said. New Delhi: The Bihar opposition grand alliance announced its seat sharing formula for all 40 Lok Sabha seats in the state for the upcoming general elections, with Rashtriya Janata Dal (RJD) contesting from 20 seats and Congress acquiescing to fight on only nine. The BJP central election committee met here on Friday to finalise the party's candidates in several states for the Lok Sabha elections with its top leaders, including Prime Minister Narendra Modi and party president Amit Shah, taking part in the exercise. The states, where the party's nominees for the polls were discussed, included Haryana, Himachal Pradesh, Punjab, Madhya Pradesh, Delhi, Gujarat and Goa. The BJP had on Thursday released its first list of 184 candidates for the elections to 543-member Lok Sabha. Names of Modi and Shah figured in the list with the prime minister being fielded from Varanasi, the constituency he currently represents in the Lok Sabha. The highlight of the list was the party's decision to field Shah from Gandhinagar in place of its veteran leader LK Advani. Apart from VIP, RLSP being given five seats could also be seen as giving due respect to the Khushwaha (Koeri) community, which is a powerful OBC community that has historically voted in tandem with Kurmis, of which Nitish is a big leader. ​Khushwaha was given three seats in the NDA LS coalition in ’14, but was denied more than three by NDA this time. Giving RLSP five seats could be seen as an attempt to de-hyphenate Khushwahas and Kurmis. Sahani has reportedly got a lot of traction among the Nishad community members due to his raising the demand for their inclusion in the list of Scheduled Tribes. A demand that has still not been met. Nishads are present in significant numbers in Parliamentary constituencies in East UP and West Bihar. Their independent strength may not be able to deliver much, but Nishads, as the case in Gorakhpur showed, where a Nishad candidate fielded on an SP ticket won a Parliamentary bypoll, have a huge multiplier effect on the outfit they ally with. While Sahani may not have so far contested a seat himself, given his influence in the Nishad community, he was a star campaigner for the BJP in 2015 assembly polls. Advertisements of the BJP in the newspapers bore his name and photographs. ‘Aage badi ladai hai, NDA mein bhalai hai’ was a popular slogan coined by him. Though BJP ultimately ended up losing the elections, Sahani claims that it was because of him that 7% of Bihar's Nishad dynasty voted for the BJP. For a party formed barely a year ago by a person who hasn’t fought an election himself to get three Lok Sabha seats on a turf as crowded as Bihar, this may seem like a big achievement. But considering the backward communities that Mukesh Sahani has been able to mobilise across the state, his seat share begins to make sense. Sahani draws his influence from an organisation called Nishad Vikas Sangh, which he set up to bring together the Nishads, traditional boatmen, that are divided in to 20 sub-castes. He has repeatedly claimed direct influence over some 1.75 crore Nishads who work in and around Bihar’s rivers. Nishads are part of the numerically significant 30% EBC community of the state. Conceding 11 seats to the backward and Mahadalit parties in the grand Bihar alliance, the Rashtriya Janata Dal has sought to knit an umbrella social coalition for 40 Lok Sabha seats in Bihar with a clear objective to restrict NDA’s efforts to woo floating votes among the intermediary castes.The biggest beneficiary of the seat sharing formula announced this afternoon in Patna is a little known political outfit - Vikassheel Insan Party (VIP). Delhi BJP's election committee has shortlisted three names each for the seven Lok Sabha seats in the national capital, amid protests by party members over celebrities joining the organisation for tickets ahead of polls, party leaders said.The list, which was finalised at a meeting of the state unit's election committee, does not include the name of former cricketer Gautam Gambhir, whose name was making rounds as a possible candidate from the New Delhi seat after he joined the BJP, said a leader who attended the meeting. "All the seven sitting party MPs' names have been included in the list which will be sent to the Central Election Committee for final selection of candidates," he said. Some other Delhi BJP leaders who attended the meeting claimed "objections were raised over celebrities joining the BJP for Lok Sabha tickets and demanded priority for dedicated leaders and workers during ticket distribution". The Mallah community leader said his party would be able to pull lakhs of voters in Bihar away from the BJP. The importance of the Nishad community can be gauged by the fact that we have bagged three seats in the grand alliance,” said Mukesh Sahanni, the Mallah community leader, after the grand alliance announced its seat-sharing agreement on Friday. The opposition alliance in Bihar declared candidates for all the 40 seats. The Rashtriya Janata Dal (RJD) will contest from 20 seats and the Congress from nine. The alliance also has Upendra Kushwaha’s Rashtriya Lok Dal (RLD) contesting from five seats. The Shiv Sena on Friday declared its first list of 21 candidates in Maharashtra for next month's Lok Sabha polls, retaining 17 sitting MPs and denying ticket to the lawmaker who had allegedly slapped an Air India employee in 2017. Ravindra Gaikwad, the 59-year-old MP from Osmanabad constituency, had hit an Air India staffer with a slipper at the IGI Airport in New Delhi and then openly boasted about it. The Sena replaced Gaikwad, who briefly faced a travel ban by airlines for his act, with Omraje Nimbalkar in Osmanabad in central Maharashtra. JD(U) Releases First list in Arunachal Pradesh | The JD(U), which is contesting the elections for the first time in Arunachal Pradesh, has released its second list of eight candidates for the assembly polls. The party's North East Executive Council (NEEC) Chairman, Senchumo Lotha, released the second list of nominees for the polls on Thursday. The Janata Dal (United) on Wednesday had announced the names of five candidates. Congress-NCP to Announce Seat-sharing Tomorrow | The Congress and the NCP will announce their seat-sharing pact and alliances with smaller like-minded parties for the 48 Lok Sabha seats in Maharashtra on Saturday. An office-bearer of the Congress Friday said, both the parties will contest 23 seats each and leave two for allies. The NCP has given Hatkanangale seat from its quota to Raju Shetti of the Swabhimani Shetkari Sanghatana (SSS), while the Congress will leave Palghar for Bahujan Vikas Agadhi. BJP chief Amit Shah took a swipe at the Congress saying that their campaign is in shambles. "Few loose sheets given by a Congress minister, is only as credible and reliable as Rahul Gandhi’s leadership skills," Shah tweeted. Alliance or Not, Sibal Will Contest from Chandni Chowk | Senior Congress leader Kapil Sibal has said he will "certainly contest" from Delhi's Chandni Chowk seat in the Lok Sabha, irrespective of whether there is an alliance between his party and AAP.Sibal had won twice from Chandni Chowk in 2004 and 2009 before losing to BJP leader Harsh Vardhan in 2014. Asked about his views whether there should be an alliance between the Congress and the Aam Aadmi Party (AAP) in Delhi, Sibal told PTI: "I don't know that is for the party to decide. There are two views within the party." "I will certainly contest the Chandni Chowk seat, alliance or no alliance," the 70-year-old leader asserted. 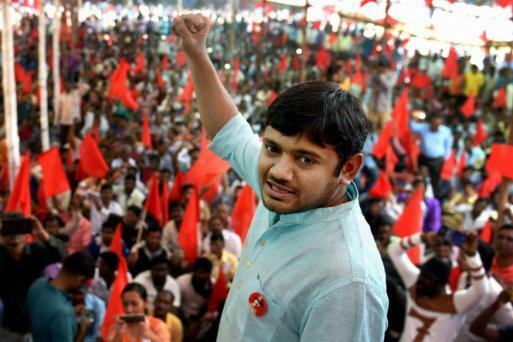 Former JNU student leader Kanhaiya Kumar, who was speculated to contest for Begusarai seat on CPI ticket, has not found space in the list released by the opposition grand-alliance in Bihar. The Congress on Friday sought an investigation by the Lokpal into a Caravan report that alleged bribes of Rs 1800 crore were paid by former Karnataka chief minister BS Yeddyurappa to the BJP's top brass.The report says that the Yeddyurappa had recorded the alleged payouts in a Karnataka state assembly legislator’s 2009 diary, in Kannada, in his own hand. 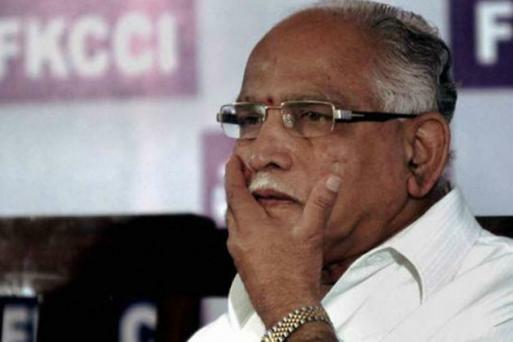 The copies of the diary pages note that Yeddyurappa paid Rs 1,000 crore to the BJP central committee; Rs 150 crore each to finance minister Arun Jaitley and transport minister Nitin Gadkari, Rs 100 crore to home minister Rajnath Singh, and Rs 50 crore each to senior BJP leaders LK Advani and Murli Manohar Joshi. The copies of the diary pages note that Yeddyurappa paid Rs 1,000 crore to the BJP central committee; Rs 150 crore each to finance minister Arun Jaitley and transport minister Nitin Gadkari, Rs 100 crore to home minister Rajnath Singh, and Rs 50 crore each to senior BJP leaders LK Advani and Murli Manohar Joishi. Sharad Yadav will contest on RJD symbol and merge his Loktantrik Janata Dal with the party after the Lok Sabha polls ,RJD national spokesman Manoj Jha said. The Congress had earlier rebuffed the reports that only nine seats would be given to the party and termed it ‘mischievous’. The Congress was confident of getting no less than 11 seats, though the party reportedly wanted 15 seats. The seat-sharing in Bihar has been announced with 20 seats being given to the RJD and 9 to the Congress. Five seats have been given to the RLSP and three each to HAM and VIP. RJD will be giving one seat to CPIML. BJP Denies Ticket to 3 Veterans in Assam | The BJP has denied tickets to three sitting veteran parliamentarians in Assam and included four new faces, the deputy speaker of the assembly and a state minister in its first list of candidates for the upcoming Lok Sabha polls. The list of 184 candidates across the country was announced by the party on Thursday evening and it included eight names from Assam. TRS chief K Chandrasekhar Rao's daughter and sitting MP from Nizamabad, K Kavitha has filed nomination papers for the upcoming Lok Sabha elections. Accusing the Congress party of making false statements, union law minister Ravi Shankar Prasad said that the party is quoting fake documents. He said that BS Yeddyurappa has denied the allegations of making payoffs of Rs 1,800 crore to the top BJP leaders. "When the Congress has nothing to say they resort to lies," Prasad said. Meanwhile, contents of the ‘Yeddy Diaries’ published by Caravan magazine have added a new twist to the poll drama, with the Congress citing the report to claim that BS Yeddyurappa made payoffs amounting to Rs 1,800 crore to top BJP leaders. “Yeddyurappa recorded these alleged payouts in a Karnataka state assembly legislator’s 2009 diary, in Kannada, in his own hand…. The copies of the diary pages note that Yeddyurappa paid the BJP Central Committee Rs 1,000 crore; that he paid the finance minister Arun Jaitley and the transport minister Nitin Gadkari Rs 150 crore each; that he gave the home minister Rajnath Singh Rs 100 crore; and that he paid the BJP stalwart LK Advani and the senior party leader Murli Manohar Joshi Rs 50 crore each. Besides this, the entry notes, Yeddyurappa paid Rs 10 crore for ‘Gadkari’s son’s marriage’,” the Caravan report says. Meanwhile, former international cricketer Gautam Gambhir joined the BJP today and is expected to be fielded by the party in the Lok Sabha polls from one of the seats in the national capital. The former opening batsman joined the party in New Delhi in the presence of Union ministers Arun Jaitley and Ravi Shankar Prasad. The BJP took a dig at Congress after it deferred its press briefing. 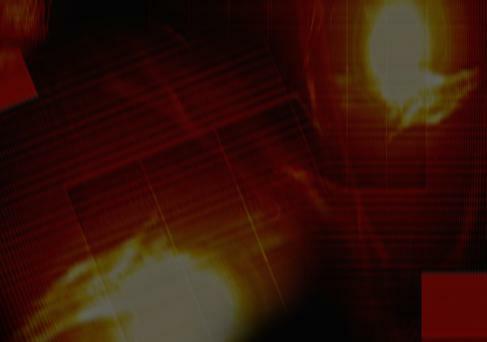 The grand old party was scheduled to address the media around 10 am, however, it later said that the press conference would be held in the afternoon. Slamming the Congress, BJP said that it seems that Rahul Gandhi is unable to wake up in the morning. On the other hand, South Indian film star Prakash Raj will file his nomination from Bengaluru Central as an independent candidate today. He had recently announced his Lok Sabha debut on Twitter. In the run up to Karnataka assembly election, the actor had extensively campaigned against the BJP, while not identifying himself with any political party. Bengaluru Central is currently represented in the Lok Sabha by PC Mohan of the BJP. If Raj manages to win the seat, he would be scripting history of sorts as the last time an independent candidate won a Lok Sabha election in the state was Dinakara Desai (D D Dattatreya) from the Kanara constituency of the erstwhile Mysore state in 1967. He was preceded by another independent Sugandhi Murugappa Siddappa, who won from Bijapur North in 1957. From 1951, when free India's first general election was held, to the last one held in 2014, a total of 2,337 independents have contested the polls in Karnataka. That only two have won thus far shows that Karnataka's electorate has not been kind to independents. Another popular face in the fray is Sumalatha, the wife of late actor-turned-politician Ambareesh. She is contesting as an independent candidate from the Mandya Lok Sabha seat. Sumalatha will be up against Chief Minister H D Kumaraswamy’s son Nikhil, after the Congress denied her the ticket as the Mandya seat had been conceded to the JD(S). Meanwhile, TTV Dinakaran's AMMK released its second list of candidates. Disqualified MLA Thanga Tamilselvan has been fielded against O Panneerselvam's son OP Ravindranath Kumar in Theni constituency. Meanwhile, it has come to light that Raj has been booked by elections officials for allegedly violating the model code of conduct. The Hindu reported that Murthy D, an officer with the flying squad, said in his complaint that the actor had used a mic and campaigned at a public meeting near Mahatma Gandhi Circle on MG Road on March 12. The programme was organised under the banner, Media and Freedom of Expression, and was not a political event, he told the police. Several writers, artists and activists who attended the programme claimed that the actor began to canvas for votes. A few attendees recorded his speech on their mobile phones and forwarded it to the officials, the report stated. By the time the flying squad reached the spot, the programme got completed and people had dispersed.